YOFIIT: All things vegan and gluten free! YOFIIT offers a huge line of products that are healthy, vegan, gluten free, soy, corn and filler free! Yofiit has healthy menu choices from sunrise to sunset! Cereals are an easy way to start the day. With up to 5 grams of both protein and fiber, cereals slowly digest while stabilizing blood sugar leaving you satisfied. Yofiit’s granola is clean and simple Ingredient list is holistic and mindful of many common food sensitivities. Both cereals can be combined with your favorite milk or yogurt. Fresh fruit adds flavor and extra fiber! “FIBRE” because it’s hard to always eat 35 grams daily. 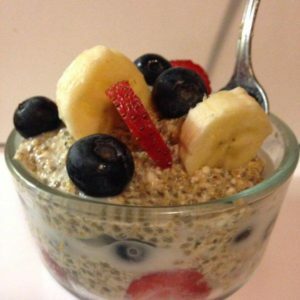 Buckwheat, quinoa and millet are solid sources of gluten free grains providing 10 grams fiber in just 1/3 cup! “GOJI” is a power food high in iron! 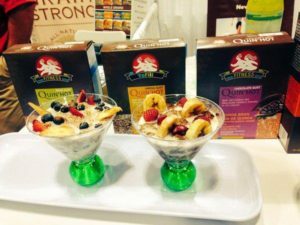 “OMEGA” contains chia and hemp. Two plant based healthy fats providing a combined total of 9.6 grams of omega-6 and omega-3. “CHOCOLATE” contains dark cacao, a powerful anti-oxidant high in magnesium, iron, zinc, copper, manganese and chromium. Increase internal body heat, topping your favorite cereal with a dash of blood sugar stabilizing cinnamon! Cereal can also be prepped overnight for early risers or as an on the go lunch! It’s as easy as layering yogurt with cereal and fresh fruit! 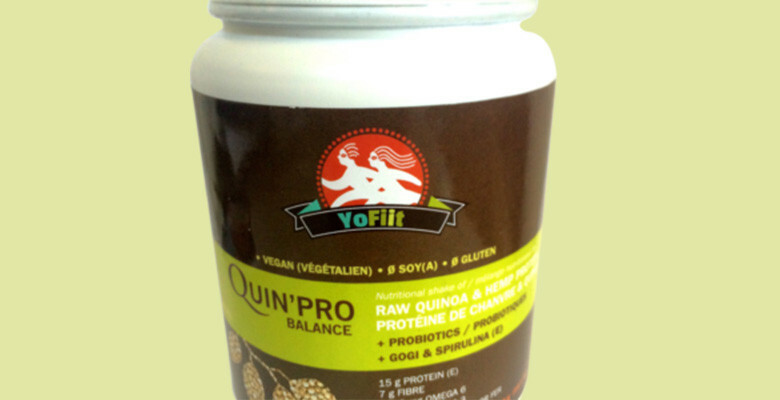 Protein powders by YOFIIT are quinoa based! They are NOT your typical chalky vegan powder! Smooth texture makes adding coconut water, juice or any type of milk mix evenly. No blender required! Whether you chose original or chocolate, no sugar or gum has been added. It’s raw and ready to shake, add to smoothies or use to make energy balls! Contains spirulina. This blue-green algae is rich in chlorophyll, key for banishing bad breathe. Spirulina is high in iodine. Iodine is benficial for aiding underactive thyroid and naturally boosting metabolism. Spirulina is 65% protein and high in B12 making it the perfect addition to vegetarian and vegan diets. Blend of 2 strains of probiotics (good bacteria). Addition of probiotics helps improve digestion, reduce inflammation, constipation and help strengthen the bowel wall. As a Certified Holistic Nutritionist, my mission is to teach clients to live and eat a healthy natural variety of organic and non-gmo foods. I recommend YOFIIT on protocols to increase overall energy, vitality and supplement any menu plan!